Sgt. Thomas WILMARTH (1620 – 1690) was Alex’s 10th Great Grandfather, one of 2,048 in this generation of the Shaw line. Thomas Wilmarth was born about 1620 in Daventry, Northamptonshire, England. Alternatively he was baptized in Saint Mary Magdalene, Taunton, Somerset England. His parents were James WILMARTH and Elizabeth MORRISEY (Morrison). He emigrated to America before 1639. He probably came with Thomas Bliss (Blysse) and his children Jonathan and Elizabeth. He married Elizabeth BLISS on 8 Jun 1645 in Rehoboth, Mass. After Elizabeth died, he married Rachel Read 27 Jan 1678 in Rehoboth, Plymouth Colony. Thomas died 13 May 1694, in Rehoboth. Many sources say that Thomas died 10 Apr 1690 in Rehoboth, Mass., but Thomas Sr’s will was proved 28 May 1694. He gave property to his wife Rachel, daughters Elizabeth and Mary, and sons Thomas’ Jr. widow, Mary; John, and Jonathan. It was Thomas Jr. that died 10 Apr 1690. Elizabeth Bliss was born 09 Feb 1614/15 or 19 Sep 1615 in Daventry, Northamptonshire, England. Her parents were Thomas BLISS and Dorothy WHEATLY. Elizabeth died Feb 1675/76 in Rehoboth, Mass. Rachel Read was born about circa 1615 in England. Rachel died 12 Nov 1710 in Rehoboth, Mass. Father: James Willmouth b. 1581, Saint Mary Magdalene, Taunton, Somerset, England; d. 1618, Saint Mary Magdalene,Taunton, Somerset, England. Mother: Elizabeth Morrison b. 1581-1591, St. Mary Magdalene, Taunton, Somerset, England; d. 6 Jun 1634. Among the freemen of the town of Rehoboth in 1658 were John Wilmarth and Sgt. Thomas Wilmarth. Both appear in the contributors to the expenses of King Philip’s War, after which the former seems to drop out of the records. In a list without date showing grants of land made about 1643, appeas the name of Thomas Willmarth as having the lot originally granted to Isaac Martin, valued at fifty pounds. In pence to the support of King Philip’s War in 1676 in which Thomas Wilamarth Jr. was also a contributor. Evidently Thomas first settled in Braintree, Massachusetts, where in 1643, he bought land rights in Rehoboth from Isaac Martin, one of the original purchasers. In 1645, he acted as a witness to a deed, and it is while living in Braintree, his daughter, Elizabeth, was born two years later. In about 1657 he moved his family to Rehoboth Massachusetts and purchased land. Some state he was a proprietor in Rehoboth by 1643-1645, but it is certain he was there by 1658, when as “Wilmoth” he had a town grant. Again in 1668, as “Willmot” he shared in a land division there. Wilmarth Bridge Road, running from the turnpike, (Route 44), to Summer Street, and passing through what was once Wilmarth property. He was active in the affairs of the church. On 14 May 1673, (OR 1658), “Thomas Willmarth” became a Freeman of Plymouth Colony. Thomas Wilmarth had two shares in the land that was destined to become Attleborough; one a grant, and the other a purchase from Joseph CARPENTER. In Dec 1676, Sergeant Thomas Willmouth was appointed to serve as constable for the remainder of the year. On 6 Mar 1682/83 he was made an Ensign of the Military Company of Rehoboth. Ensign Thomas Willmouth collected funds for defraying the costs of King Philip’s War. Money advanced £6, 12s 3d on 26 Jan 1676/1677. Thomas Wilmarth, Ensign, was born circa 1620 in England and came to New England before 1645 in which year he was living in Braintree, Massachusetts. About 1657 he took his family to Rehoboth. The Wilmarths had substantial land holdings in the Palmer Rver area of Rehoboth, some properties adjacent to Fuller holdings. Rehoboth of today has a street named Wilmarth Bridge Road, running from the turnpike, (Route 44), to Summer Street, and passing through what was once Wilmarth property. Marriage 1: Elizabeth Bliss(e) (OR Blysse), b. 9 (OR 19) Sep 1615, in Daventry, Belstone Parish, Northamptonshire, Devonshire, England. She died and was buried in Feb. 1676/77. Married: 1640 in Braintree, Norfolk County, Massachusetts. Thomas left a will, written 10 Dec 1678, at Rehoboth, recorded in Bristol County. Probate Book 1, page 82. Probate: About 26-28 May 1694. (OR 4 Jun 1694 Rehoboth, Bristol, Massachusetts. Inventory: 29 May 1694. Inventory. of Estate of Ensign Thomas Willmath of Rehohoboth, dated 26 May 1694, presented by Rachel Willmouth, his widow. Appraisers: William Carpenter and John Butterworth. May 28, 1694. He named in his will his wife Rachel, daughters Elizabeth and Mary, and sons Thomas, John and Jonathan. As his son Heirs: Three sons, two daughters, brother-in-law Sgt. Jonathan Bliss and Sgt. Thomas Read, Uncle of John Perrin. Left five grown children by his first wife. uncle of John Perrin left 5 grown children by first wife who died in an epidemic. “Receipts for legacies from Estate of Ensign Thomas Wilmoth by Rachel Wilmoth, his widow; by Jonathan Fuller in behalf of his wife Elizabeth, eldest daughter; by Mary Gilbert, daughter, paid by John Jonathan Wilmoth, dated. 4 June 1694. Witness: Thomas Read and Thomas Read, Jr.
Ens. Thomas Read served under Major Bradford in King Philip’s War and his house was a depository for arms. He is buried in the Newman Cemetery at East Providence, R.I. A roughly chiseled field stone reads: “T.R.D./F. 6.1695/6. Beside this stone is a white marble stone erected by descendants which reads” “Thomas Read son of John and Sarah Born in 1641 Died in 1696”. Beside this stone is a roughly chiseled broken field stone set in cement which reads: “Anna ye wife of Ensign Thos. Read dyd ye 28 of Mar 1710 in ye 65 year of her age.” Another roughly cut field stone read: “E.R.A.G. 32 D. F. 1675″, marks the grave of his first wife, Elizabeth Clarke. Will of Thomas Read, Rehoboth, Tanner, dated 23 Jun 1695. Bequests to Eldest son James; to wife Hannah; to son Thomas under 21 years of age; to son Nathaniel under 21 years of age; to David Peren if he continues to live with them until he comes to the age of 21 years; to daughter Sarah; to daughter Elizabeth; to daughter Mary; to daughter Hannah; to daughter Mehittabell; to daughter Martha; wife to be executrix; sons Thomas and Nathaniel executors. ” I Doe appoint & Constitute My beloved Brothers William Carpenter, Moses Reed * Daniel Read’ to be overseers of will and guardians of sons Thomas and Nathaniel until they come to the age of 21. Witnessed by Moses Read, John Wilmarth and William Carpenter who all appeared before John Saffin Esqr., Judge of Probate of Wills, at a court held at Rehoboth 24 Feb 1695/96 and made oath to the above. Entered 6 Mar. 1695/96. Elizabeth’s husband Jonathan Fuller was born 15 Jun 1643 in Salem, Essex, Mass. His parents were Robert Fuller and Sarah Bowen. Jonathan died 10 Feb 1708/09 in Attleboro, Bristol, Mass. Jonathan was a Constable in Rehoboth and a Selectman in Attleboro. i. Jonathan Fuller, b. 23 Dec 1665, Rehoboth, Bristol, Mass, d. 15 Oct 1716, Attleboro, Bristol, Mass. m.
v. Thomas Fuller, b. 28 Jun 1671, Rehoboth, Bristol, Mass; d. 23 Oct 1742. He first married Elizabeth Cobley on 8 Jan 1692/93 in Rehoboth, Bristol, MA. He next married about 1703 to Ann Woodcock, the daughter of our ancestors William WOODCOCK and Mary [__?__]. He finally married Mary White on 15 Nov 1722.
ix. Elizabeth Fuller, b. 12 May 1678, Attleboro, Bristol, Mass. x. Sarah Fuller, b. 23 Apr 1680, Rehoboth, Bristol, Mass. xi. Mary Fuller, b. 1 Oct 1681, Rehoboth, Bristol, Mass. xii. Noah Fuller, b. 12 Feb 1683/84, Rehoboth, Bristol, Mass; d. 12 Jan 1714/15, of Attleboro, Bristol, Mass. xiii. Elizabeth Fuller, b. 12 May 1688, Rehoboth, Bristol, Mass. Mary’s first husband Joseph Rocket was born in 1659 in Medfield, Norfolk, Mass. His parents were Nicolas Rockett (1628 – 1680) and Margaret Holbrook (1635 – 1670). Joseph died 27 Jul 1683 in Swansea, Bristol, Mass. 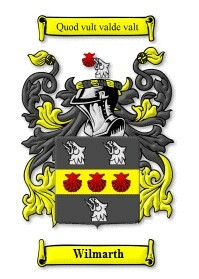 Mary’s second husband Giles Gilbert was born 1627 in Somerset or Devon, England. His parents were John Gilbert and Winifred Rossiter. Giles died 8 Jan 1718 in Rehoboth, Bristol, Mass. Daniel’s wife Mary Walker was born about 1650 in Rehoboth, Norfolk, Mass. Thomas’ wife Mary Robinson was born 30 May 1652 in Rehoboth, Bristol, Mass. Her parents were George Robinson and Joanna Ingraham. Mary died 19 May 1694 in Rehoboth, Bristol, Mass. John’s first wife Ruth Kendrick was born 16 Feb 1650, Rehoboth, Bristo, MA. Her parents were George Leverich Kendrick (1622-1727) and Ruth Bowen (1626-1688). Ruth died 19 Feb 1706, Rehoboth, Bristol, Mass. John’s second wife Hannah Tyler was born 1692, Mendon, Mass. Her parents were Samuel Tyler (1655-1695) and Hannah [__?__] (1663-) Hannah died 1781, Rehoboth, Bristol, Mass. ii. Mehitable Wilmarth 19 Jun 1675, Rehoboth,Mass; d. aft 6 Sep 1748; m. Ebenezer Walker, Nov. 19, 1700. Int. Oct. 18, 1700.
iv. Dorothy Wilmarth b. 26 Aug 1680, Rehoboth, Mass; d. 17 Sep 1772, Rehoboth, m. Samuel Fuller 16 Dec 1700, Rehoboth, Mass. vi. John Wilmarth b, 11 Dec 1685, Rehoboth, Mass. ; d. 4 Jul 1774, Rehoboth,m. Hannah Tyler on Oct 4, 1708. Hannah Hunt 8 Mar 1711, Rehoboth, Mass. vii. Mercy Wilmarth b. 2 May 1689, Rehoboth, Mass; d. 5 Jun 1755; m. Eleazer Gilbert 13 Nov 1712, Rehoboth, Mass. viii. Noah Wilmarth b, 5 May 1691, Rehoboth, Mass; d. 17 May 1691, Rehoboth, Mass. ix. Timothy Wilmarth 4 Nov 1692, Rehoboth, Mass. Timothy’s wife Mary [__?__]’s identity is not known. Page 174 in the Dryer book, under the Wilmarth name, states that Thomas Wilmarth and Elizabeth Bliss were probably married in England. The Wilmarth genealogy book also says they were probably born in England. Reprinted with “Plymouth Colony Vital Records,” a Supplement from _The Mayflower Descendant_ by George Ernest Bowman (Genealogical Publishing Co., Inc. Personal Collection of James B. Bullock,,Littleton, CO 80120. Images from Search Research Publishing Corp CD “Early Vital Records of Bristol County, Massachusetts to about 1850”; Wheat Ridge, CO; 1998. Vest/Cochran Tree (Owner: marievk1); Ancestry.com. Schaer family file for export 112302 (Owner: Schaer_Sovine); Ancestry.com. Kevin Wesley Grubbs (Owner: kdgrubbs); Ancestry.com. This entry was posted in 12th Generation, Historical Site, Immigrant - England, Line - Shaw, Place Names, Twins, Veteran and tagged Great Swamp Fight, Rehoboth, Wilmarth Bridge Road. Bookmark the permalink. I find Carol Clark Johnson in her book “Fullers, Sissons, and Scotts, our yeoman ancestors” saying that the Thomas who died in 1690 was the son and Thomas Senior died before he was buried on 13 May 1694. Not sure but what she might be relying on Savage for that info though. Before I had it either way, but you’re right Thomas Sr. died 13 May 1694, in Rehoboth. Any thoughts are additional information on this Morrison & Monck line? Thank you.